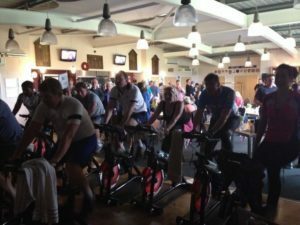 12 hours – enter a team to spin a bike for 12 hours or individuals can join a 48PTC team. Help us raise much needed money for reserch for Harrison’s Fund – #MAKE TIME. We are currently not accepting registration for this event – watch this space for 2019 date and venue.